Hey y’all! It’s election night and I for one could use a distraction! My prayer is that regardless of the outcome, we all come together and in the words of the late Rodney King, can’t we all just get along?! Anywho, it’s fall, and I’m starting to get annoying cold weather dry skin, including my cuticles. I was doing a little research and found that cuticle oils and creams work wonders. I’m not sure what took me so long, but I finally bit the bullet and bought some over the weekend. I’ve only been using it for a few days, but omg I can see a huge difference! They look smoother and healthier, I’m totally shocked at how well this is working! I’m hoping maybe this will lead to nail growth somehow, but that’s probably asking too much! I got this one by Sally Hansen. I was torn between the oil or cream and decided on the cream because I thought the oil would be messy. I’ve been using it twice a day, in the morning and at night. 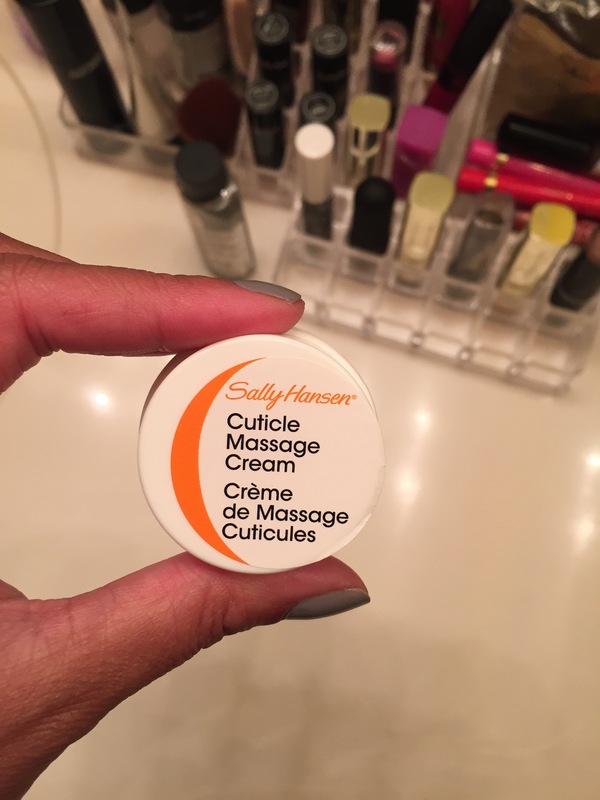 Maybe I’ve been under a rock, but have you guys already been using cuticle creams? I’m excited to not have dry cuticles and hang nails this fall/winter! Do you guys have a fav brand that you like?